When I was a kid, I always wanted glasses. I would even go as far as drawing glasses on myself whenever I would draw a picture of myself :) Well, finally in 4th grade I got glasses for reading to try to help with my headaches. I was so excited! I had reading glasses for several years until my junior year of college. I started noticing my vision going blurry when I was driving, and I ended up needing glasses all the time. (and every year my vision continues to get worse...) Now I mostly wear contacts, but I usually like to give my eyes a break on the weekend. 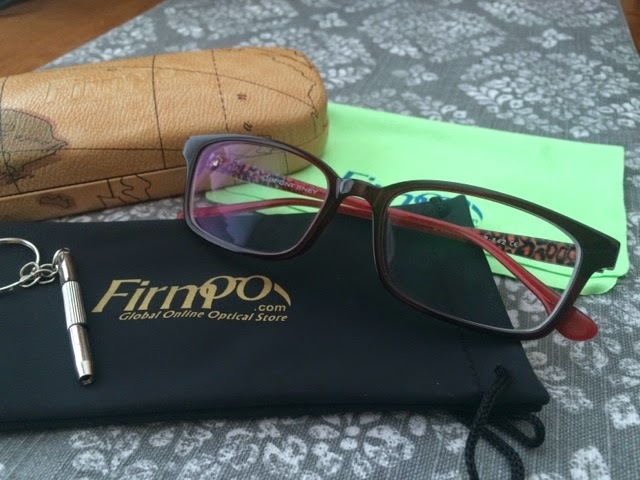 Needless to say, I was very excited to get contacted by Firmoo to try out one of their glasses! Also, there is only a couple more days to enter my first giveaway for a $25 gift card to Gordmans! Make sure you check it out! These are cute glasses! 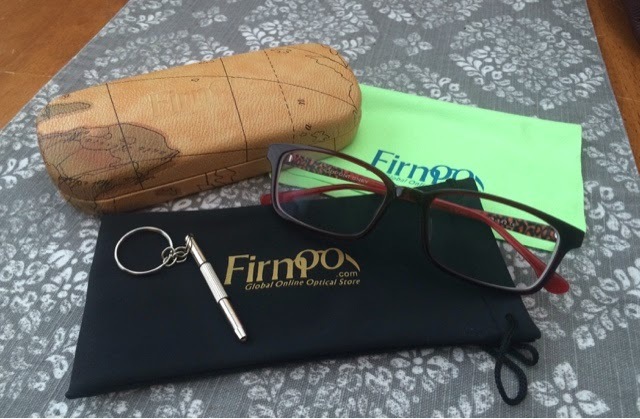 I really like the shape of my firmoo glasses, and get compliments and questions about them all the time! Thanks Inge! I was really surprised by how many different, cute, frames they had to choose from! I love the color of those frames! They look so great on you! Adorable glasses Maria and an even cuter outfit. I love your KS inspired necklace there. Thank you for linking up to "Bloggers Who Have Inspired Me" today. Thank you Marta :) I can't wait to see the frames you chose! Cute! I have a pair from Firmoo and love them! Gosh those glasses look cute on you! I've heard great things about Firmoo. Glad they worked out for you! Oh, and I'm absolutely loving your top! Thanks Lauren! I was a bit wary of ordering glasses online, but definitely happy with how they turned out! Oh my goodness Maria, you look adorable in those frames! Great choice! I was really nervous about ordering my glasses from Firmoo (not being able to try them on and fearing that I would accidentally enter in the prescription incorrectly made me scared, haha), but I am SO happy with how the experience turned out :) I love the frames you chose - they look great on you! I was super nervous too but I'm so happy with how they came out! And honestly they are way more comfortable than the glasses I got at my eye clinic! Ways to start getting healthy + Giveaway!